Actor Salman Khan, who is currently busy shooting for Dabangg 3 in Indore, has again landed himself into trouble. As per the reports, he has been issued a notice by the Archaeological Survey of India (ASI) for damaging antique figurine while shooting of the film. The ASI ordered Salman Khan and his crew to remove two set pieces of the film which were being constructed at the Jal Mahal in Mandu, Madhya Pradesh. The notice also comes with the clause that the film’s shooting will be cancelled if the filmmakers do not follow the instructions. 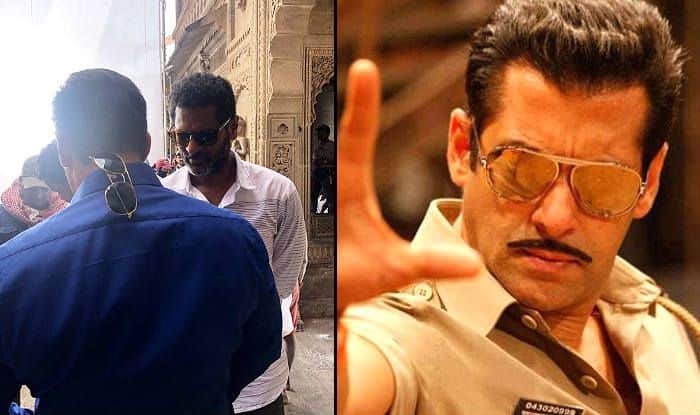 Reports also suggest that the production house was informed earlier regarding the same but the team of Dabangg 3 did not take any action from their side. Now, as per the notice, the film’s crew has violated the norms of the ancient Monument, Archeological sites and Remains Act 1959 by constructing a film set. Not only this, but the film’s crew has also been accused of damaging an antique figurine at one of the forts located near the banks of Narmada river in Maheshwar. The figurine got damaged while the set was being removed from the fort. Recently, while talking to the media, Salman talked about when he has planned to release Dabangg 3. Making a startling revelation, the actor said he is eyeing a December release for the film this year. Dabangg 3 brings Salman back with Prabhu Deva, who directed him in 2009 release, Wanted. Actor Sonakshi Sinha has also returned to play the character of Rajjo, Chulbul Pandey’s wife. The film also features actors Rajesh Sharma and Nawab Shah in important roles.